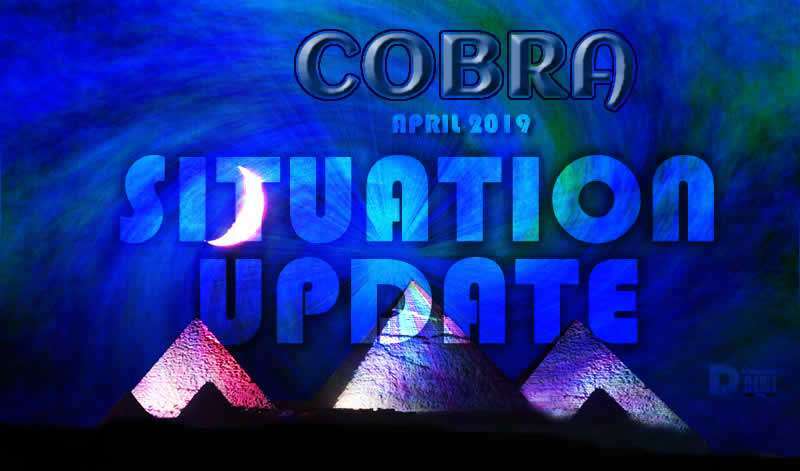 Cobra Update April 2019. By 2012Portal. Sources connected to the Cosmic Central Race have communicated that the feeling of deep despair that pervades the surface of the planet is actually an AI distress signal, emitted by the Cabal, because after our meditation on January 21st their mathematical future forecast models are predicting their defeat with 100% certainty. Therefore they are generating an SOS call to all remaining darkness of the Universe to come and help them against the inevitable defeat. As no dark reinforcements are arriving to planet Earth from beyond our Solar System, the feeling of utter dread and panic has begun to propagate from top Cabal handlers such as Chimera and Black Nobility families down to Cabal middlemen and minions as they being to realize that their plans are not coming to fruition. Clearing of the Chimera group continues, as well as clearing of the plasma Toplet Bombs. The only comment permitted here is that the Plan for planetary liberation is deeply classified since January 27th, 2018, and NO intel about it is coming out (except from a brief leak about spy satellites in August 2018). One of the crucial situations that is ongoing is the battle for the energy grid around the planet, between SURFACOM and the Black Nobility families especially battle for the Goddess Leyline, which holds the master key for control over the planet. 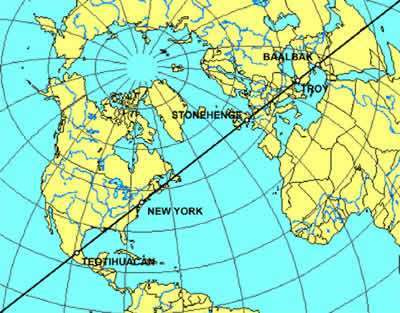 Syrian Goddess Vortex is located on this leyline, and just after our workshop, victory over the Daesh in Syria has been announced in the Western media. 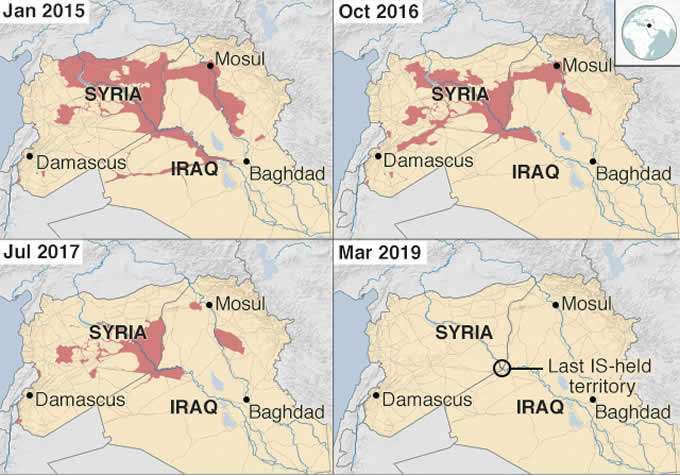 According to the more accurate sources, there is still some small Daesh controlled territory in Syria and Iraq although peace is finally returning to Syria. Daesh is a creation of the Western (RIIA)/Saudi (Wahhabi) Cabal. Battle of Frigidus was the key historical moment that has shaped the destiny of the Western civilization and was taking place on September 6th, 394 CE near Vipava, Slovenia. This battle meant defeat of Eugenius, the last Roman emperor that supported Goddess mysteries, by Thedosius, who was a Cabal agent, obeying commands of the Archon handler Ambrosius, the bishop of Milan. Theodosius was instrumental in completely erasing Goddess mysteries, by issuing laws to forbid Goddess worship, punishable by death, in 391 CE and by ordering the destruction of Serapeum and the library in Alexandria in 392 CE. Battle of Frgidus meant a complete collapse of the Goddess energy grid for the whole Western civilization, leading to the split of the Roman empire just a few months later, and ultimately leading to 1000 year delay of progress in the so-called dark (middle) ages. Theodosius belonged to Theodosian bloodline that is now known as Theodoli family, one of the main Black Nobility families. Another important vortex in Slovenia is its capital city, Ljubljana. It was an important city of Light in late Atlantean period and is about to become a city of Light again in the New Atlantis. During the last Archon invasion in 1996, Ljubljana was bombed with etheric and plasma nuclear bombs which have collapsed the energy grid in the country completely and have delayed the spiritual progress of the country for decades. Very recently, certain actions are being taken to revive that energy vortex again. Black Nobility family that is controlling Ljubljana, certain other parts of Slovenia and certain parts of Italy is the Orsini family. Orisini family has suffered a big defeat in 2010 and is very strongly against the Goddess energy and for this reason they have infiltrated the Rosicrucian movement which was before strongly influenced by the positive Sisterhood of the Rose and was promoting Goddess mysteries. Orsini are controlling Rosicrucians especially through their Rosenberg branch and have created a negative mirror Sisterhood of the Rose and Snake a few centuries ago. This group is made of female Illuminati members who use black magic occult rituals against positive Goddess priestesses. 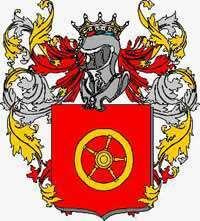 Another prominent Black Nobility family that is using negative female archetypes against the Goddess energy is the Sforza family. The Black Nobility families control at least 80% of the top echelons of human society through so-called Greek fraternities, which are a Jesuit creation. Jesuits themselves are a creation of the Farnese family. The Matrix is beginning to fall apart.